LibGuides is amazingly flexible, and you can do just about anything you want with it! However, sometimes all of the different directions you could go make it a little hard to know exactly where to start. That’s where this workshop comes in. This session is for folks just getting started with a brand new LibGuides site - or attempting a total overhaul. 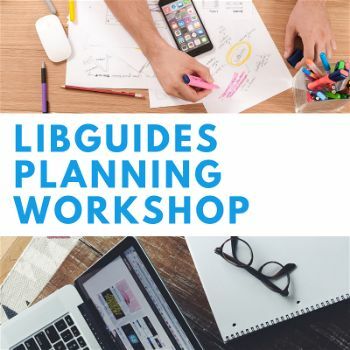 We’ll discuss what you need to know before you start adding content to your LibGuides site and how to plan your site for future growth. This session is limited to 20 participants. This session includes some homework and active discussion (via microphones) during the session. While we will look at features within LibGuides, this session will not include system set up. Check out the recordings of our training sessions on Admin and System Settings.